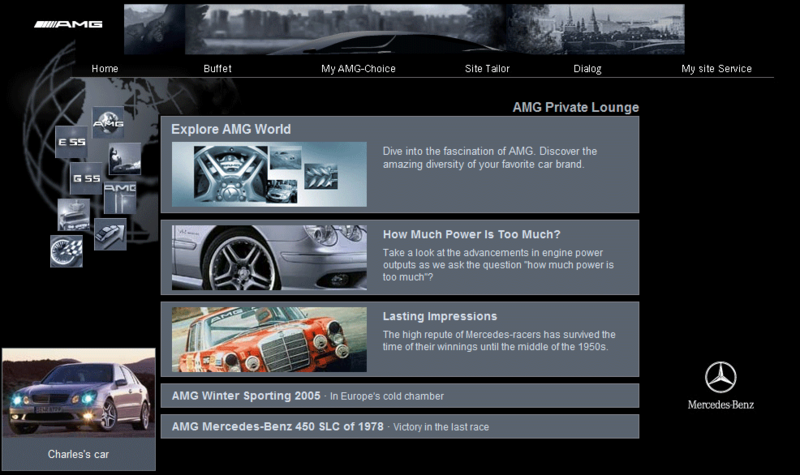 As a part of a project which had the goal to increase customer loyalty and establish an exclusive customer club we developed a dynamic web portal as a community platform: the Mercedes-AMG Private Lounge. The club offered like-minded individuals the opportunity to interact with the Mercedes-AMG and its members on an individualized basis, according to their own interests. 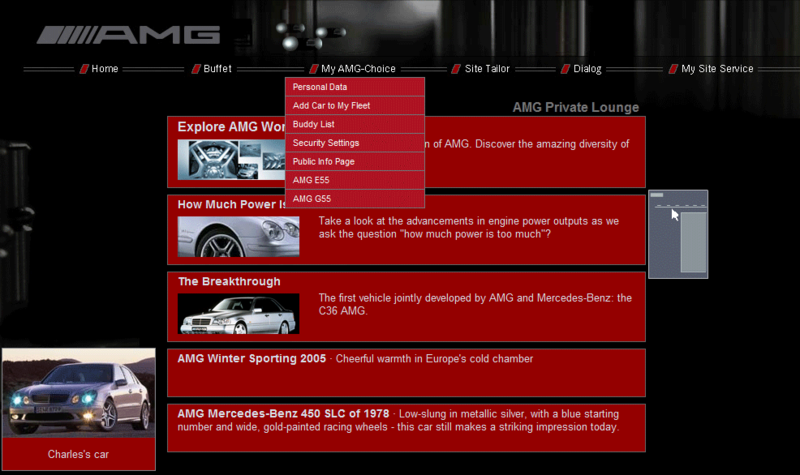 The Mercedes-AMG Private Lounge is respected as a pioneer concept in online social media. Technically rich and emotionally stimulating, the platform provided meaningful information for sophisticated users of technology, and easy and intuitive access for new users. The highly adaptive design can be easily adjusted to suit customer preferences and a sensory-based approach to personalization. Further tools allowed an unique and adaptive user experience. 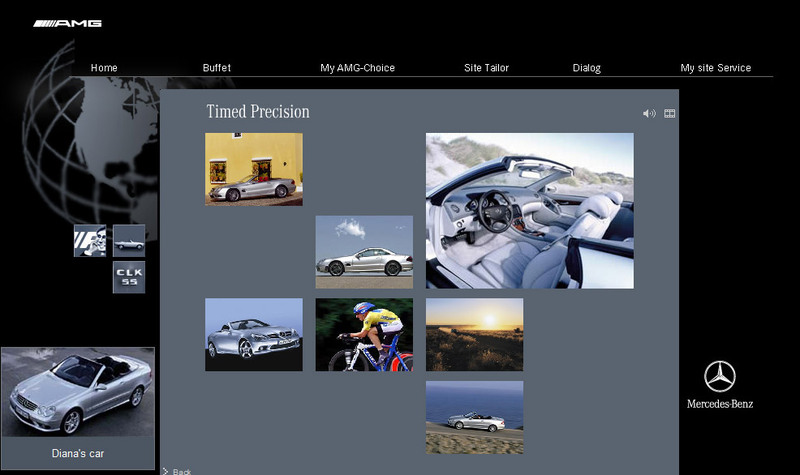 Building a lounge-like place to go for luxury car customers, both Internet-based and real. 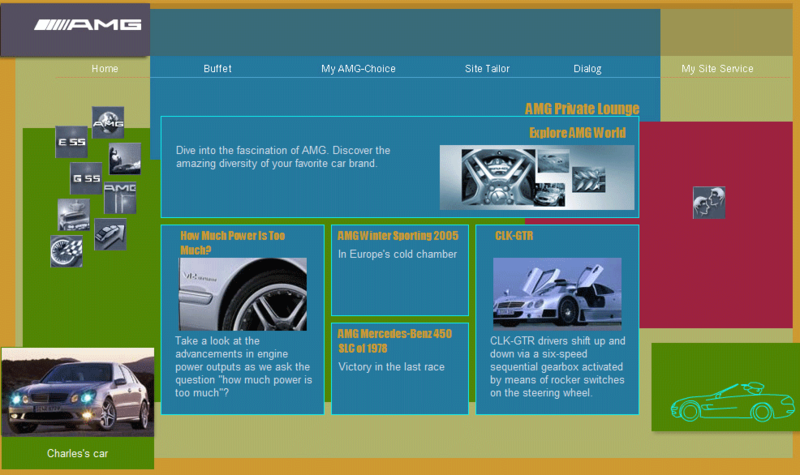 Including a direct link to the AMG headquarters. Identifying and catering to different types of brand and product expectations. Beyond different car models. Detecting and asking for preferences and personal information – and reacting to it in a useful way. 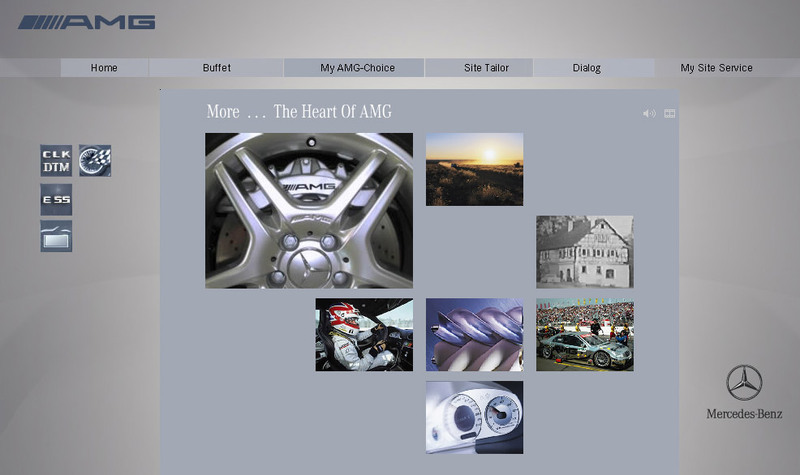 Data from different sources (purchases, contact history, online activities, …) was considered both to create individualized user experiences for customers and service persons; and to offer ideas & decision support for Mercedes-AMG. Choosing stories and creating communication is a vital aspect. Insider reports from the AMG manufacturing facilities were most welcome, so was coverage on racing activities and lifestyle. 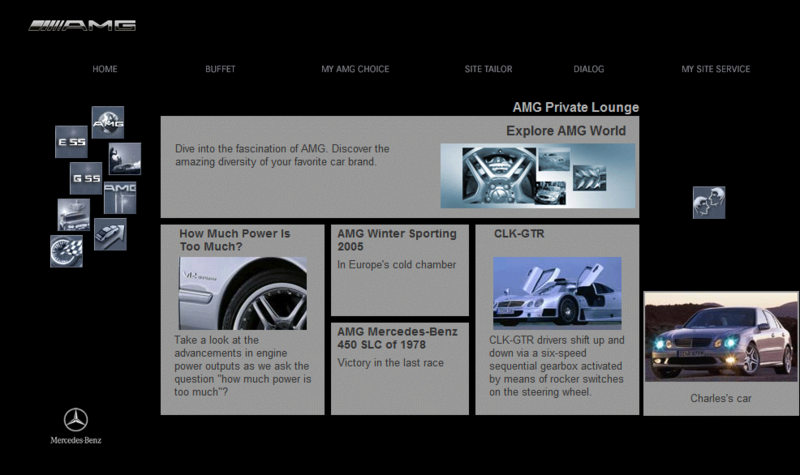 Club-like special events and exclusive extra packages centered around, but not limited to, the automotive experience. 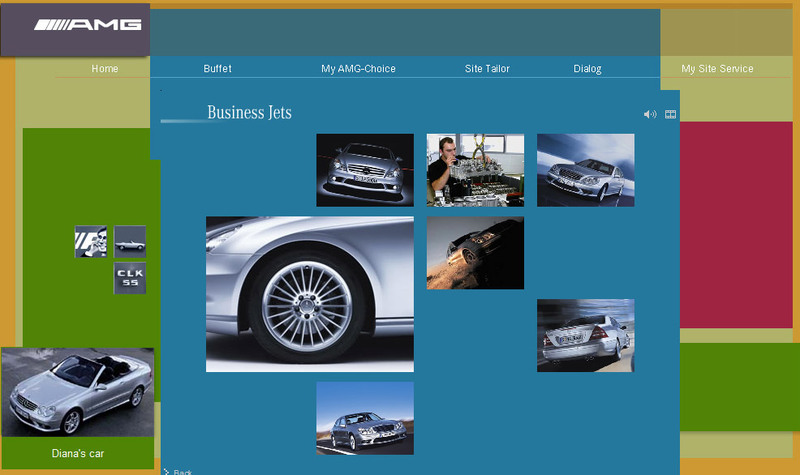 Building a lounge-like place to go for luxury car customers, both Internet-based and real. 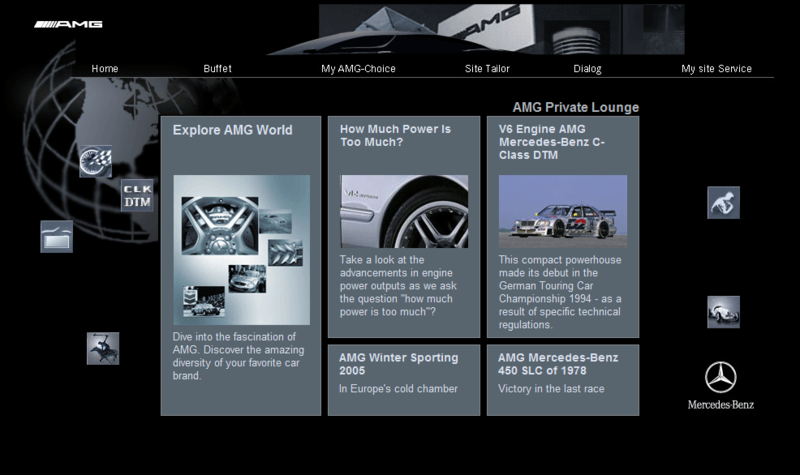 Including a direct link to the AMG headquarters. Identifying and catering to different types of brand and product expectations. Beyond different car models. Detecting and asking for preferences and personal information – and reacting to it in a useful way. 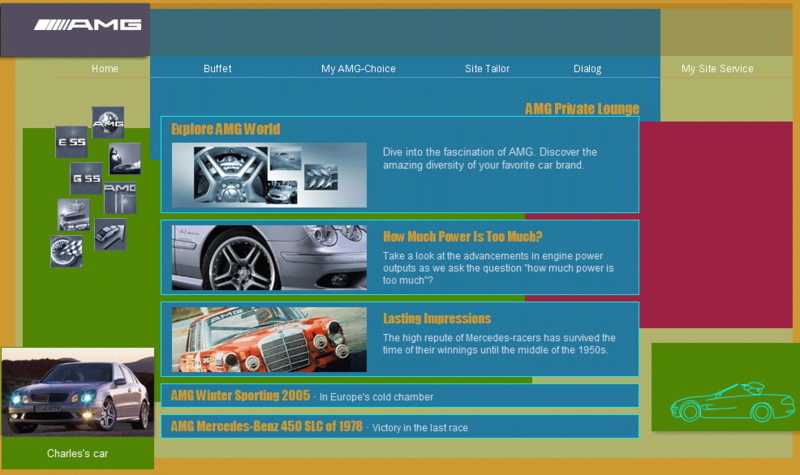 Data from different sources (purchases, contact history, online activities, …) was considered both to create individualized user experiences for customers and service persons; and to offer ideas & decision support for Mercedes-AMG. Choosing stories and creating communication is a vital aspect. 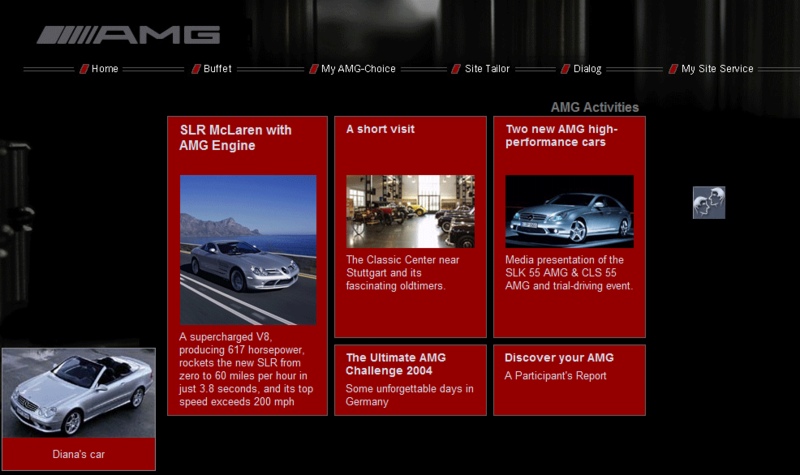 Insider reports from the AMG manufacturing facilities were most welcome, so was coverage on racing activities and lifestyle. 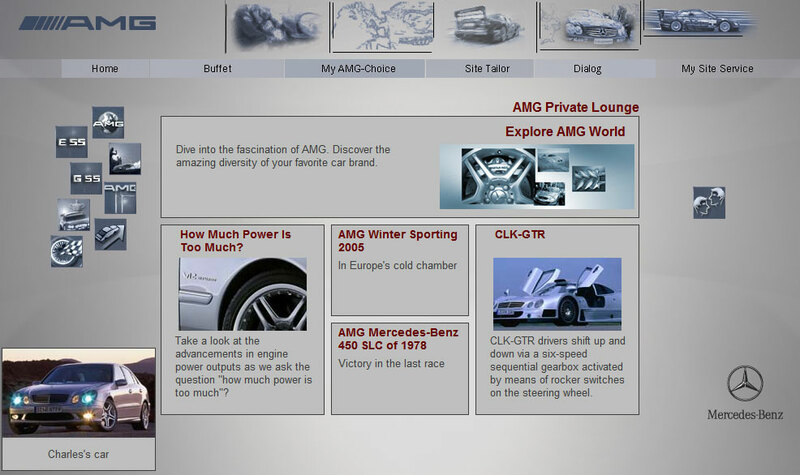 Club-like special events and exclusive extra packages centered around, but not limited to, automotive experiences.